You've got 2 minutes to take your team to the end zone for a game winning touchdown! 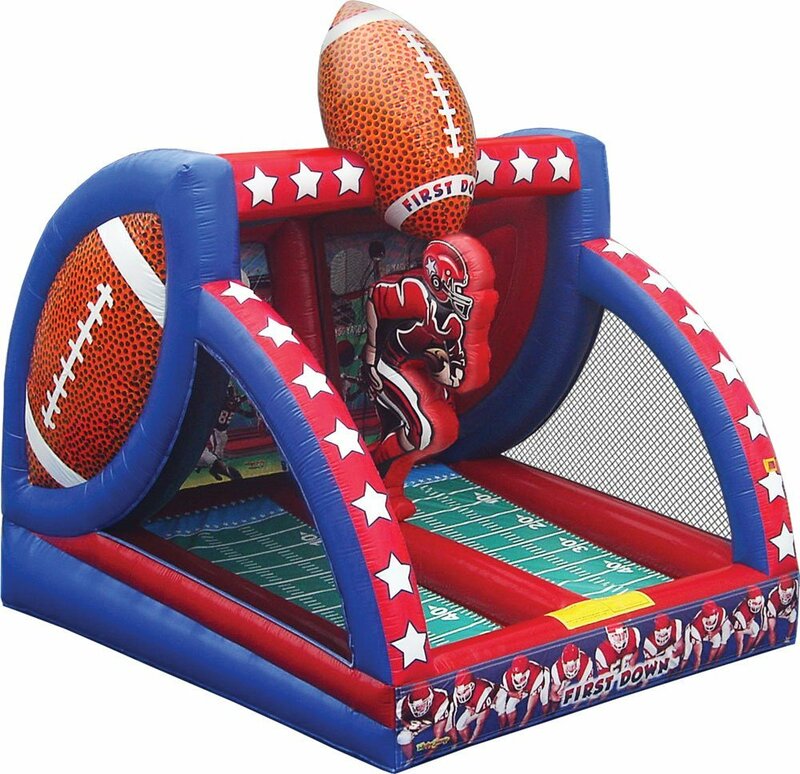 This dual quarterback inflatable game will entertain all football fans for hours. Stand in the pocket and throw your best spiral to your best receiver. Contestants will be challenged and earn bragging rights at the office on Monday morning. Fantacy football at its finest. 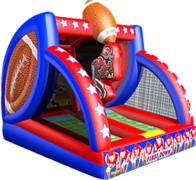 Great for tailgating and any event with football fans of all ages! Reserve The QB Challenge Today!